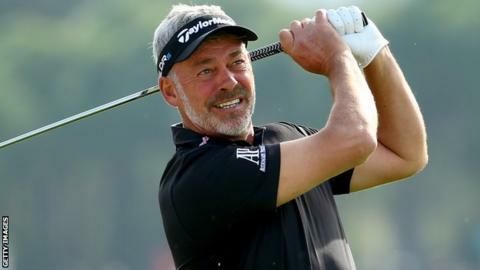 Darren Clarke was one over after 14 holes at the Turkish Airlines Open when a thunderstorm brought an early end to play on Friday. The former Open champion from Dungannon carded four birdies and two bogeys before play was abandoned in Antalya. Clarke lies in joint 56th while Belfast player Michael Hoey is near the foot of the leaderboard on 14 over after 14. Shane Lowry is the best of the Irish trio on seven under after 15, six behind leader Ian Poulter. Englishman Poulter, who has played 14 holes, is three shots clear of Zimbabwe's Brendon de Jonge. Hoey started with a disastrous 10-over-par 82 on Thursday first and his second round has included two double bogeys. It is the third event of the European Tour's Race to Dubai Final Series - four tournaments culminating with the World Tour Championship in Dubai from 20 to 23 November.